At Arkansas State University this May, a few thousand graduates tugged on their caps and gowns, walking across the stage and into the workforce. Among them were new elementary school teachers, certified to teach pre-kindergarten through fourth grade. Because of a recent change to the way the state licenses teachers, this group of new graduates will be the last class to leave the school with a specific focus on the early elementary years. The state has chosen to move back to a broader K-6 license to give principals more flexibility in hiring, which had become a problem for school administrators looking to fill spots in fifth and sixth grade. The change, early learning advocates in the state say, will be a loss for the children who, down the line, will be taught by teachers without specific preparation in early childhood areas like children’s social-emotional growth, family engagement, or effective instruction in early literacy. These advocates say those areas are different from the preparation required for teachers of older elementary students. Early elementary teachers, New America analysts say, need that knowledge and skill base to build a foundation for success. A 19-person committee at the Institute of Medicine and the National Research Council was charged with exploring the science of child development and its implications for those who are paid to work with children from birth through age eight. The group released their long-awaited report, “Transforming the Workforce for Children Birth Through Age 8: A Unifying Foundation” in 2015. The report finds that expectations for early childhood professionals have “not kept pace” with what we now know young children need. The researchers shine light on the specialized knowledge needed by professionals who care for and educate young children, and call out the need for strengthening competency-based qualification requirements. 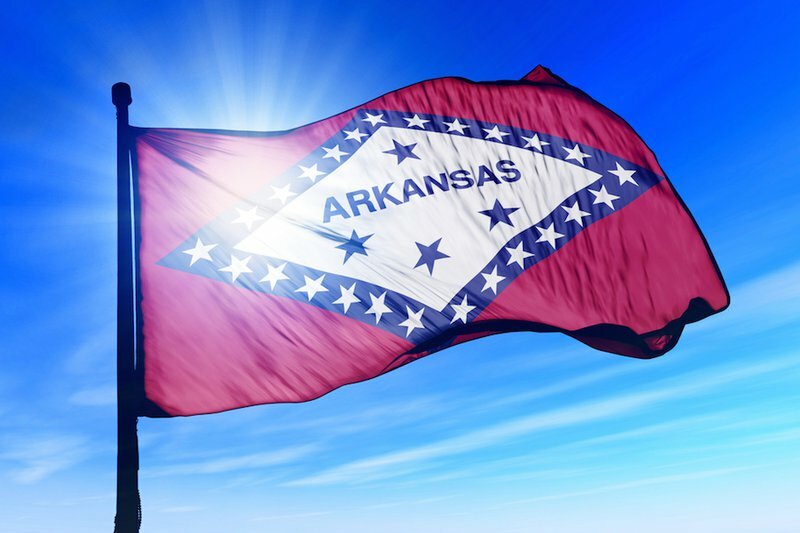 As national attention on the importance of early learning grows, Arkansas’ reversal in licensure exemplifies a dilemma facing school districts: How should they balance a need for well-trained teachers with the needs of administrators to make flexible hires? Arkansas’ universities and colleges have begun to restructure their pre-service training so that graduates are qualified for the broader licenses. The first K-6 teacher training programs began in the fall of 2014. Many elementary school administrators have applauded the change, which will produce candidates qualified to teach all grades on their campuses. If a fifth grade teacher leaves the job, for example, the principal can shuffle the staff and bump up a teacher from third grade. In recent years, principals have not had that kind of flexibility. Under the old structure, administrators “were just bombarded with P-4s but didn’t have jobs for them,” said Richard Abernathy, director of the Arkansas Association of Elementary Administrators. On the other hand, they faced a shortage of teachers certified for fifth and sixth grades. Some early childhood education advocates worry that the broader licensure structure will eliminate age-appropriate training for teachers in the younger grades. They are concerned that K-6 training programs will emphasize preparation for teaching the older grades and sacrifice the child development training necessary for younger children. At Arkansas State, the P-4 program previously included 9-12 credit hours focused on birth through preschool as well as field experience in pre-K classrooms. Those elements have been stripped from the new K-6 curriculum, said Joanna Grymes, associate professor of early childhood education. That makes the K-6 license shortsighted in the minds of people who work with young children. They say learning happens on a staircase, with foundational steps in the earlier years. Strong early childhood education with adequately prepared teachers sets kids up for academic and social-emotional success in later grades, and consequently makes their teachers’ jobs easier. Sonya Launius, principal of Bearden Elementary School, said she favors a broader license for practicality but understands that teaching first grade requires a different skill set than sixth grade. Jody Veit-Edrington, early childhood coordinator at the North Little Rock School District and former kindergarten teacher, said teachers of young children need to understand basic child development. “Such a huge part of what we do with pre-K children is the social-emotional piece,” she said. New Birth-K licensees will undergo intensive training focused on young children. But advocates fear the low marketability of that degree will make it unpopular because candidates will pursue broader degrees that make them more flexible job candidates. Others say the challenges early childhood education graduates face in finding employment can reflect poorly on their higher education institutions, potentially dissuading universities from offering the degree. Arkansas State does not have plans to offer Birth-K as an undergraduate degree due to low interest among students, Grymes said. Veit-Edrington worries that the new licensure structure will lead to a shortage of teachers certified for pre-K. Arkansas Better Chance (ABC), the state’s public pre-K program, requires lead teachers on public school campuses and in educational cooperatives to be certified. A program at Veit-Edrington’s North Little Rock district will preempt the possible shortage by building a supply of teachers qualified for the early years. A workaround there allows non-lead teachers to become certified while working. Their time in the classroom now counts as their required field experience. Previously many chose not to become certified because they needed to earn a living. The district secured this exemption from a state rule that prohibits pre-service teachers from working during their training programs. Under a new partnership with the local campus of Harding University—a rare school that offers a Birth-K program—North Little Rock’s ABC teachers will become certified while continuing to work. But that kind of solution will not be possible in most places, especially in Arkansas’ many rural communities, where there are no training programs nearby. Administrators often sympathize with early childhood education advocates, but say there has to be give-and-take between hiring the appropriate teachers for each age group and being realistic about staffing needs across campus. For Abernathy, who advocated for the K-6 certification, the license that grants him the most flexibility will always be the most appealing. But like many administrators, he does not deny the relevance of age-specific training. Low compensation, teacher preferences, and a societal dismissal of the importance of the early years can make it challenging to hire for both quality and practicality.